I may or may not have eaten fudge with my breakfast this morning. And yesterday. And with my lunch. I am not ashamed. I finally whipped up a batch of my mom and Grandmother’s famous Million Dollar fudge early enough in the season to share the fudge recipe with all of you before Christmas. It’s about time! I’ve only been trying to do it for the last four years. This recipe is seriously to die for. Why is it called Million Dollar Fudge? I have no idea. I’m guessing it’s because it’s so good that the secret recipe is worth millions. Well, guess what? You get the fudge recipe for free. Lucky! On this recipe in my Grandmother’s file, she wrote: “The best candy ever invented.” I think I agree. In a small saucepan, cook the syrup ingredients together over medium to high heat. (As long as you stir constantly, you can use a higher heat.) Stir constantly. When syrup comes to a rolling boil, cook exactly five minutes more (still stirring constantly). Remove from heat and add the butter and vanilla. Stir until the butter has completely melted. Pour hot syrup over the mixture you have set aside in the bowl. 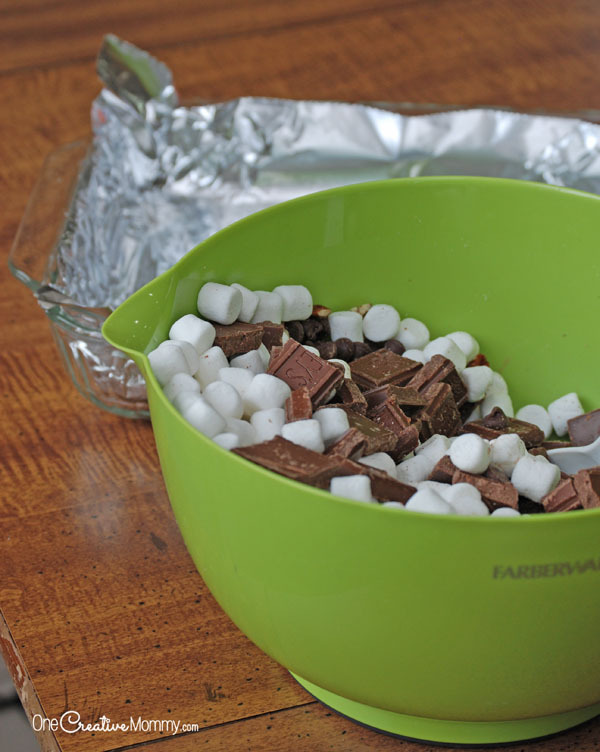 Stir until all the chocolate and marshmallows have melted. Pour into your foil-lined pan to set up. Because I once made fudge soup as a teenager, I’ll give you some extra tips about the syrup. Depending on your stove, it may take a very long time for your syrup to boil. Don’t start timing five minutes until your syrup is vigorously boiling. Little bubbles at the edges of the pan don’t count. When the syrup is really boiling, it will look foamy. If you start the timer too early, your fudge will not set up, and you will end up with delicious chocolate sludge. Yummy, but very messy! The syrup should reach the soft ball stage before it is finished cooking. To test that, put a cup of ice cold water near your cooking area. When you think the syrup is done, drizzle some syrup into the cup. If you can reach in and form the syrup into a soft ball, the syrup is ready. If the syrup falls apart, it’s not ready. My family members (except for me and one very wise child who understands what is yummy) are not nut fans. My batch only had a few nuts. I highly suggest adding lots of nuts. (Any kind you want.) Don’t skimp on the nuts! They’re delicious. What is your favorite fudge recipe? Are you a purist (you like yours plain), or do you fill your fudge with all sorts of goodies? 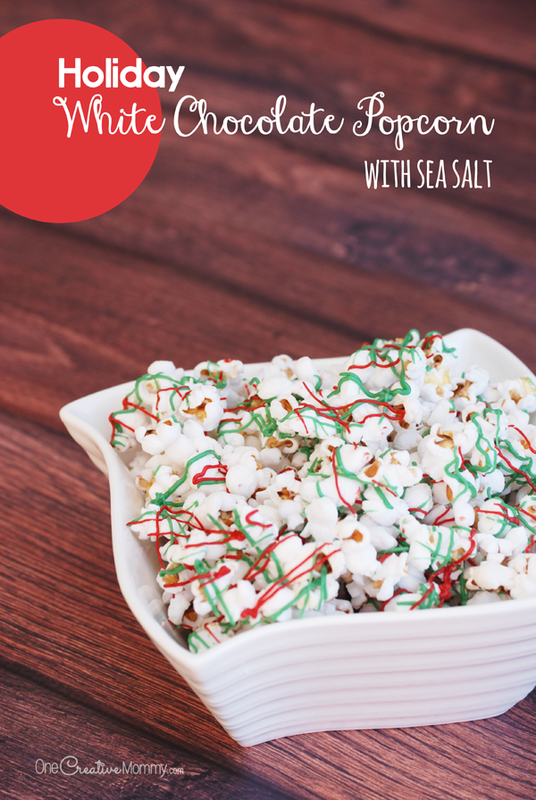 Do you have a special holiday recipe that’s been passed down in your family? Thanks for stopping by today. Don’t forget to check out more yummy recipes and ideas while you’re here. The images below are linked to posts, so click on them to visit. I am a major fudge addict as it is, but double chocolate? I didn’t even know it was possible to make fudge any better, but you did it. Thanks, Robin. You should try it. This fudge is amazing! Thanks, Milton. I agree. Fudge should have some nuts, but it’s still all about the chocolate. Yum. I just LOVE fudge so much. I need to make some soon. I normally buy it already made but it’s just not as tasty. Homemade fudge is definitely better, but I’ll take fudge any way I can get it! Hands up I love fudge but I have never tried making it myself. I totally need to give your recipe a try though and see if I can make them 1/2 as well as you! Thanks, Sarah. It’s not as hard to make fudge as it sounds. You do have to follow the recipe carefully when you are cooking it, though. I have only made fudge once. It didn’t look half as good as this one. I am going to try making fudge again with this recipe. Thanks, Rose. I hope your fudge turns out yummy! 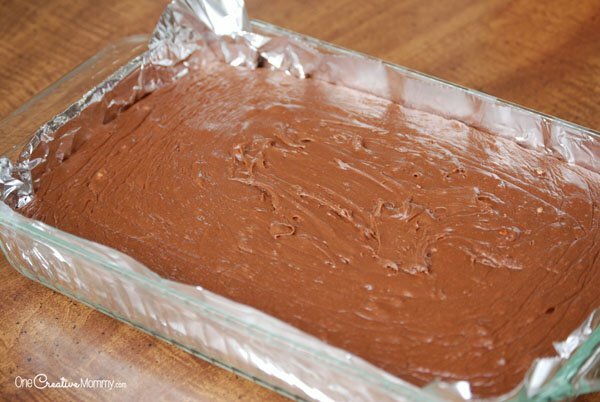 You can never go wrong with fudge :) It’s been a while since I made one so I’m gonna give it a try this weekend! I hope your fudge turns out well, Susie. Thanks for taking the time to comment. I love fudge! I haven’t made it in years. I need to pull out my mom’s recipe. My daughter has a corn allergy and can’t have marshmallows. That’s a bummer about the marshmallows. I bet there are plenty of yummy fudge recipes without marshmallows, though. I am a lover of chocolates and vanilla and the pics above got my eyes popped out. The recipe sound interesting. There is nothing better than eating chocolate in any form. I’m with you, Rahul. Chocolate in any form is a little piece of heaven! I am a sweet tooth through and through but I’ve given up on sugar (or that’s what I do every week,lol). I can still make this and give as a gift right? Good for you for giving up sugar, Akamatra. I’ve thought about it many times, but I’ve never been able to do it. Were you able to stick with it though the holidays? I was looking for a new fudge recipe to try. I like to give home made treats for gifts during the holidays. Me, too, Claudia. I gave away lots of fudge this year. It was a definite hit. I thought I was the only one who enjoyed lots of nuts in fudge. 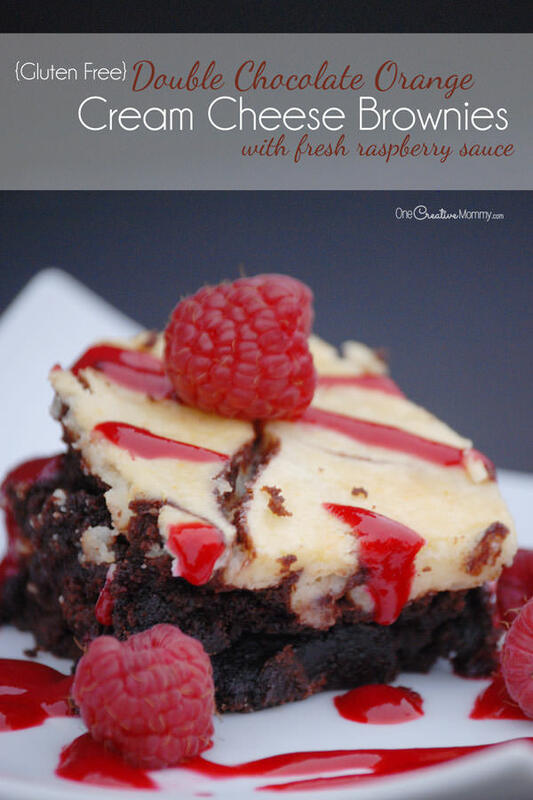 These look so delicious I am going to have to try the recipe. Thanks, Bismah-Bonnie. Nuts in fudge is so yummy. Too bad my children don’t agree. I love fudge and haven’t come across an easy recipe that I’ve liked. I’m really eager to try these out! I hope you try it, Jen. It’s my favorite fudge recipe. 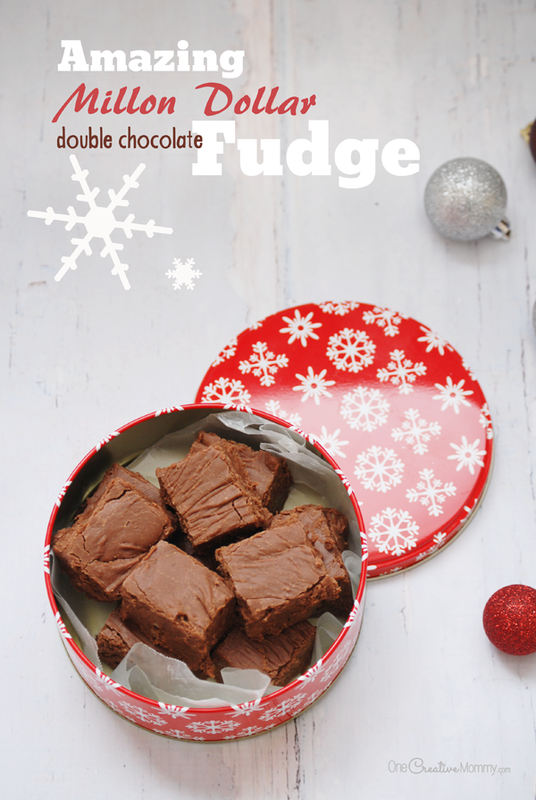 Mmmm….I’ve been looking for a scrumptious fudge recipe for the holiday season. I think I just found it right here! Thanks, Denay. This fudge is definitely worth trying. I hope you love it. I just love fudge , but haven’t made it in years because I end up eating it all! I might just have to break down and make some this year. I have the same problem, Mary. I finally decided to just eat a few pieces and then give away the rest. It worked pretty well! I am so excited to try this! 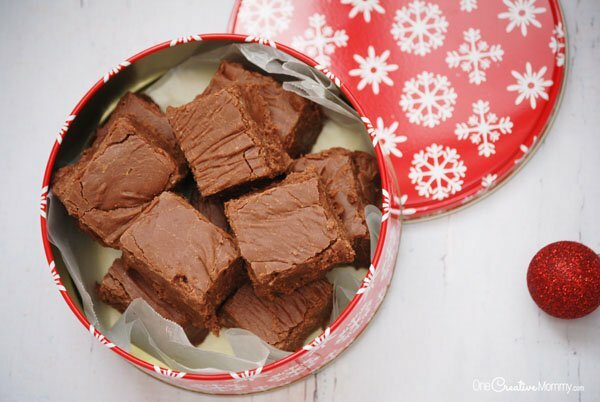 This is the exact fudge I have always wanted to make! Oh, good, Angela! I hope you love it! Love the addition of nuts. I love having chocolate with nuts. By the way, the recipe sounds great. Thanks, A cupofassamtea. It’s a super yummy recipe. Fudge is by FAR one of the best things about the holidays! My grandma makes it for us every year! I agree, Ruth. My mom and grandma always made fudge, too. Now I guess it’s my turn! Who doesn’t love a good chocolate fudge recipe, Heidi?! My mouth is watering right now. What kind of sugar do you use, white or brown? Thanks, Agness. It’s white sugar. I hope you love the fudge! 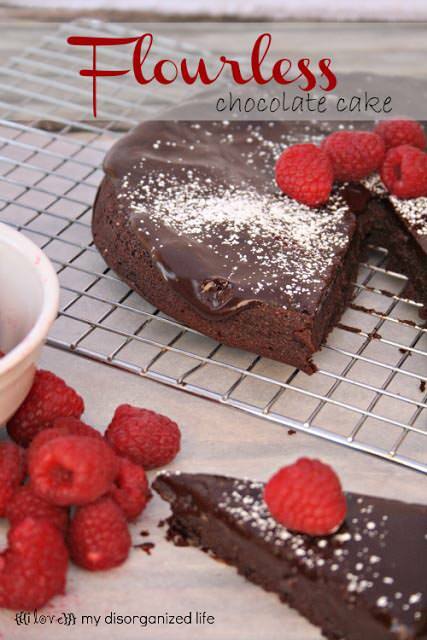 This double chocolate fudge looks so delish! I would like to bake it this weekend. Thanks, Emman. I hope you love the fudge. I have never had fudge quite like this! I have always been so scared to try it but I may just have to now! There’s nothing scary about fudge, Hannah! You should definitely give it a try. Wow. I love that. We all love anything with chocolates. Thanks for sharing the recipe. You’re welcome, Jake. I hope you love the fudge. Thanks, Khushboo. This fudge is super yummy. I hope you love it. Who doesn’t love chocolate? haha. I will try this yummy choco fudge. I hope you love it Guru Raj. It’s my favorite fudge recipe. Yum! 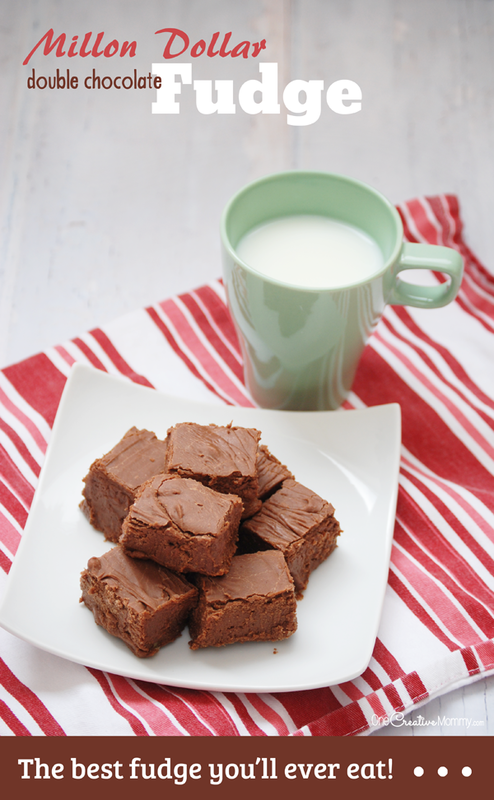 Thanks for sharing this fudge recipe! Okay, where do I send in my money? Cause this is really a million dollar recipe, with such fewer ingredients, a heavenly fudge! Amazing! Wow, You are absolutely right. One million dollar recipe.